About 85 percent of the island was still without power Saturday. Hurricane Maria has been blamed for the deaths of at least 48 people in Puerto Rico since it roared ashore last month and knocked out power there, officials said. Authorities there raised the death toll by 3 on Saturday based on a review of medical records. The number could increase as the medical examiner continues to review all deaths that occurred in hospitals on the U.S. island territory around the time that the powerful hurricane hit, according to Puerto Rico's Secretary of Public Security Hector Pesquera. "We are reviewing each and every case to see if the storm was a direct or indirect cause," Pesquera told reporters, following a news conference in the San Juan. "I doubt seriously that we will have any direct at this juncture." 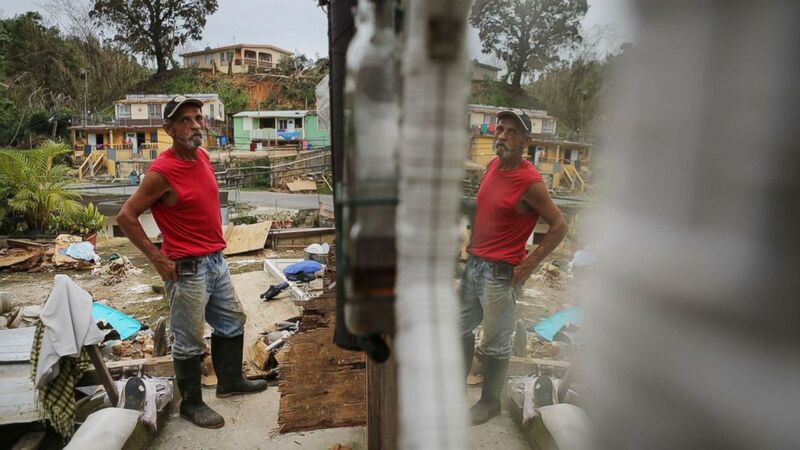 (Mario Tama/Getty Images) Francisco Zamoro, 69, poses in his former living room, reflected in a mirror still hanging on the wall, three weeks after Hurricane Maria hit the island, Oct. 12, 2017 in Jayuya, Puerto Rico. 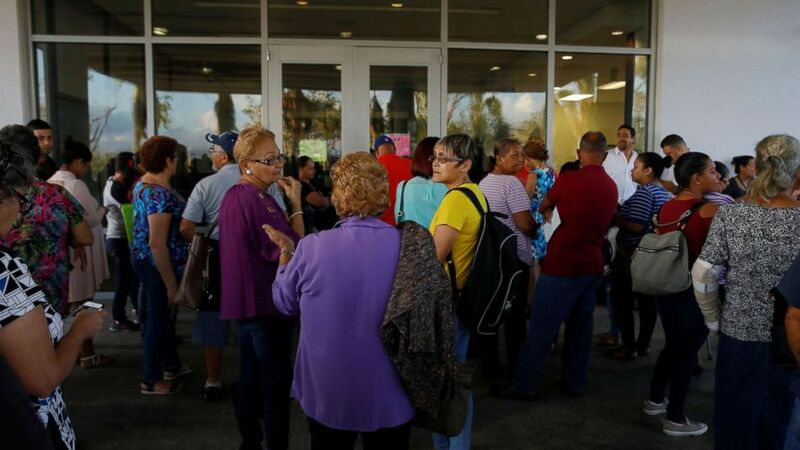 (Shannon Stapleton/Reuters) Residents affected by Hurricane Maria wait for medical specialists to arrive at the HIMA San Pablo Hospital in the municipality of Caguas, outside San Juan, Puerto Rico, Oct. 13, 2017. Maria made landfall as a Category 4 hurricane in Puerto Rico on Sept. 20, turning roads into rivers and ripping roofs from homes. Puerto Rico Gov. Ricardo Rossello said about 85 percent of the island was still without power Saturday. Meanwhile, 42 percent of cell phone customers in Puerto Rico don't have service and 36 percent of residents still don't have access to safe drinking water. 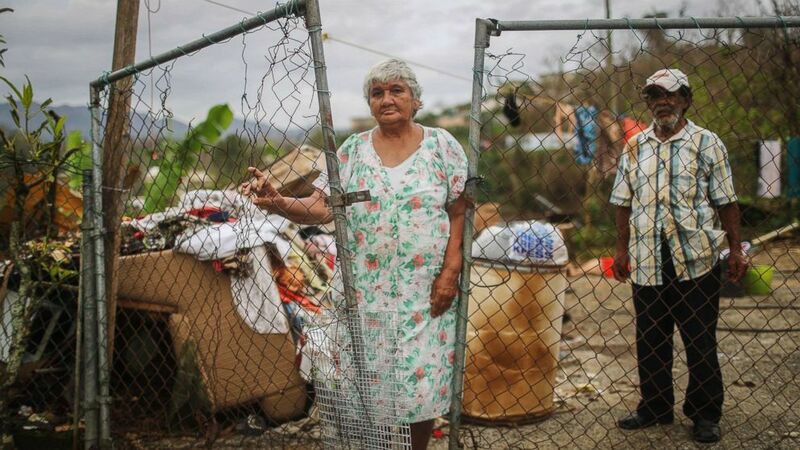 (Mario Tama/Getty Images) Luz Sota Rivera (C) and Francisco Nazario Aviles pose outside their damaged home, with debris removed from their home uncollected in the driveway, three weeks after Hurricane Maria hit the island, Oct. 12, 2017 in Jayuya, Puerto Rico. 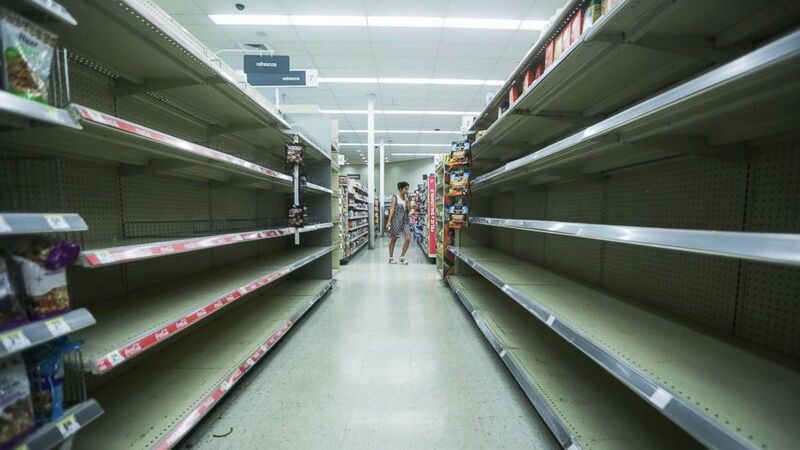 (Mario Tama/Getty Images) Beverage shelves stand mostly empty in a Walgreen's store over three weeks after Hurricane Maria hit the island, Oct. 13, 2017 in San Juan, Puerto Rico. The goal is to restore electricity for half the island by mid-November and for 95 percent by mid-December, Rossello said. "These are aggressive goals," the governor told a news conference Saturday.